Dress Up a Chicken ! – Cut and Paste Activity | Print, Cut, Paste, Craft! New Year, new free printable activity! As many of you know, I am an illustrator and lately I have been working on some chicken characters to add to my portfolio. 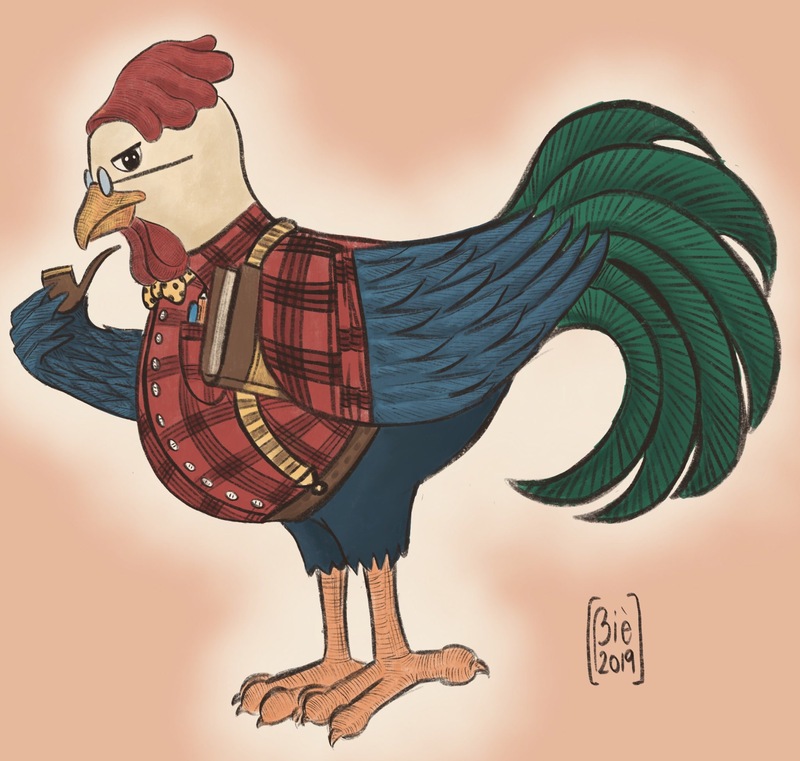 My favorite has probably been this hipster rooster ( A roopster?) but if you are curious to see more then feel free to visit my portfolio website at www.gabriellavagnoli.com. 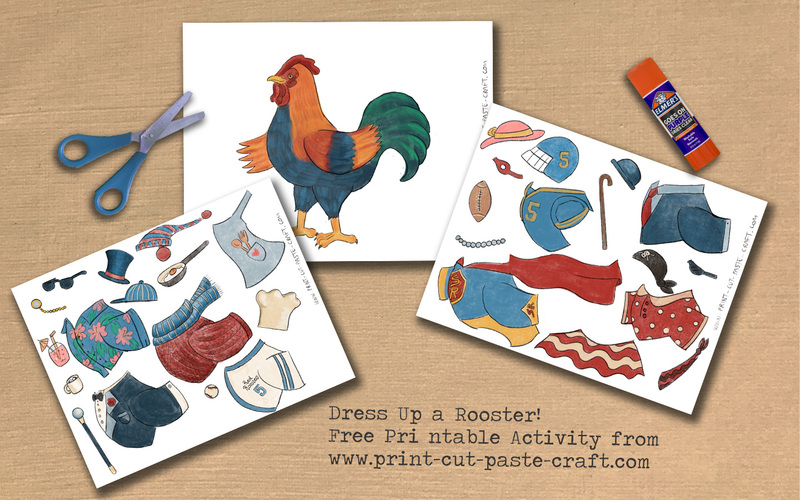 As I was sketching a bunch of different versions of this character I thought it would be fun to create an activity in which you can dress up your own rooster, similar to those paper dolls in which you have to cut up and dress up, but more fun because …well… you are dressing a chicken of course! So, here it is in all its glory! The picture below is only a preview. To download the printable pdf click here: (there is also a black and white version for those, like me, who don’t have a color printer or just like to color their own). Thank you so much! I had fun creating it!